A comprehensive illustrated guide to Native Indian Tribes of America with pictures and videos. The Native Indian Tribes include the Apache, Cherokee, Cheyenne, Chinook, Comanche, Hopi and Sioux. Containing facts and information about United States Indian Tribes, Famous Native Americans, Houses, Food, Weapons, Symbols, Designs, Stories, Groups, Culture and Native American Indian names. A comprehensive and illustrated guide to Native Indian Tribes and the culture of the Native American and the indigenous people of North America. All of our articles are accompanied by pictures, paintings and many have videos - all bringing the life of Native Indian tribes to life and enabling a better understanding of each subject. Visit Land of the Brave for facts about Colonial America. The Native American name controversy is a dispute about the acceptable terminology for the indigenous peoples of North America. We want to be culturally sensitive by using the most respectful and acceptable terminology. The terms Native, Native American, American Indian, Native Indian and Indian are generally deemed to be acceptable names. These are used interchangeably on this website, together with specific names of tribes, to indicate the original inhabitants of North American before the European colonists arrived. The term "Indian" originated when Christopher Columbus landed in America. Columbus thought that he had arrived in the East Indies on his way to Asia. The indigenous people of North America have been referred to as Indians, Red Indians, Redskins, American Indians, or Amerindians. The history of the Native Indian tribes of North America are referred to on most pages and there is a large section covering the history of the Indian Wars, together with timelines and information about the 'Wild West' and the US Cavalry. The history of the Native Americans also covers the most famous Native Americans from the various tribes. Names we have all heard of such as Hiawatha, Sitting Bull, Cochise and Red Cloud. Learn about the life of the people of the Native Indian Tribes. The Pictures of Native Americans in this section provide an opportunity to study the differences between the Indian tribes of Native Americans. There are pictures, paintings, images and photographs of the main Native Indian tribes and many of their great chiefs and leaders. In order to interpret the symbols on the pictures refer to Color Meanings and Symbolism. The history of the Native Americans include interesting information and facts about the indigenous people of North America including the Cliff Dwellers and Mound Builders. Facts and interesting info about the Trail of Tears and the Five Civilised Tribes and together with details of the Native Indian Tribes who inhabited each U.S. State. The tools and weapons of the Stone Age civilisations of the Native Americans detailing info about the bow and arrows, tomahawks, war clubs, knives and lances made and how Stone Tools were made and how Native American Weapons were used by the men of the Indian tribes. The history and lifestyle of the different groups of Native Americans including the Great Plains Indians, Eastern Woodland cultures, the Northwest Indian tribes, Northeast Woodlands Indian Tribes, Southwest Indian Tribes, Southeast Indian Tribes, the Arctic and Sub-Arctic Indian Tribes and the California Native Americans and Indian Tribes. Learn about their way of life and the environments that sustained and dictated their lifestyles of Native Indian tribes. The definition of culture and meaning, customs, traditions, material objects, arts, art, music, crafts, pottery, dance, designs, drawings, patterns, weapons, artefacts, baskets and beadwork. The article on Writing in Symbols and Pictures also refers to this aspect of Native American art forms. The natural resources and materials available provided the clothing of the Native American. The weather and the changing seasons also affected their way of life and clothing at different times of the year. Articles about the men's clothes and the clothing of the women. Their different styles of headdresses and moccasins and how these were made. 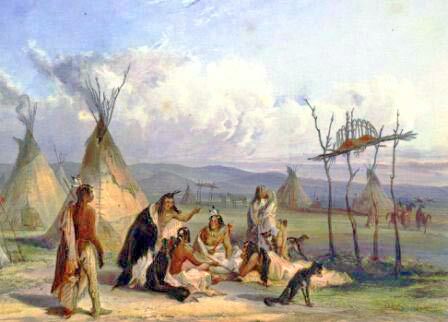 The white settlers from Europe and their encroachment on the way of life and lands occupied by the indigenous population led to may battles and conflicts and many Indian Wars which were fought between the tribes of different locations and the European settlers who had headed west and the US Cavalry. 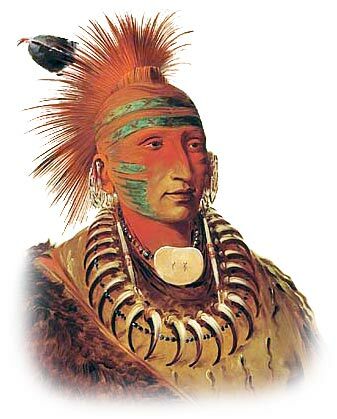 The Indian Wars included the French Indian War, Pequot War, Bacon's Rebellion, King Philip's War, Pueblo Revolt, Yamasee War, Seven Years War (French and Indian War), Tecumseh's War and the Battle of Tippecanoe, the Creek wars, the Sioux Wars including the Battle of Little Bighorn, the Apache Wars and the Seminole wars. The life styles of Native Americans ranged from nomadic, semi-nomadic to static and their houses and homes reflected their way of life. The different types of Native American houses, homes and shelters included tepees, wigwams, brush shelters, wickiups, chickees, earthen houses, hogans, earth lodges, pit houses, longhouses, adobe houses, pueblos, asi, wattle and daub, grass houses and plankhouses. All of these houses, shelters and homes are described together with pictures, photographs and paintings. This section covers a variety of different subjects with articles about Native American arts, crafts, designs, symbols, jewelry and artefacts. Discover the secret meanings of Symbols and Meanings the Hand Symbol or gain some inspiration and ideas for American Indian Tattoos including the Serpent Symbol. The Native American Symbols and Signs section include articles about the Creek Alphabet, Rock Hieroglyphics including the Dighton Rock inscription, Picture Writing, Writing in Symbols and Tree Pictures together with the Dictionary of Symbols . This section contains A - Z Lists of Native American baby names including Fox Names and Apache Names with interesting facts and information about Native American Names, Naming Traditions, Initiation Ceremonies and Tribal Customs. The physical characteristics can be generalised as dark brown eyes, prominent cheek bones, straight black hair, and scantiness of beard. The skin color of Native Indians varies from very light in some tribes such as the Cheyenne, to almost black in others, such as the Caddo and a yellowish color in such as the Flatheads. The Native American Stories in this section provide an opportunity to read about the stories of Native Indian tribes and many of their great chiefs and leaders. Classic Short stories for kids and children of all ages on the subject of Native Indian Tribes. This section on Native Indian Tribes contains articles relating to the life and times of the most famous Native Americans including Hiawatha, Sitting Bull, Cochise and Red Cloud with a short biography with interesting facts and history about their lives and why they were famous. The massive area of the United States incorporates many different types of climate and land which now make up the United States of America. The way of life of the Native Indian Tribes of each of the States were dictated by the natural raw materials available in the State and the animals, fish, birds, plants, nuts, berries and trees. The subsistence of Native Indian Tribes was related to agriculture and hunting. Discover the Native Indian Tribes who inhabited each of the States of America with pictures and maps. Learn about their iconic symbols such as Totem Poles. The settlement of Colonial America led to many of the early Indian wars. Political rivalries and military conflicts in Europe spilled across the Atlantic and into Colonial America. European laws were introduced to Colonial America and the lucrative income from the natural resources of Colonial America contributed to the wealth of the mother countries. The early Indian Wars were fuelled by the newcomers to America sparking new conflicts with local Indian tribes and colonists for control of the land. Our history timeline provides fast facts about the Colonial America Time Period increases understanding of the political events that effected the Native Indian Tribes. The facts and information about Native Indian Tribes for kids are a free, online educational resources for schools. 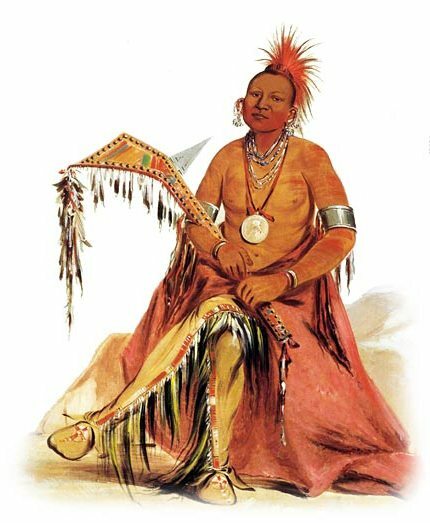 The Native Indian Tribes include articles about the Apache Indian Tribes, Blackfoot Indian Tribes, Cherokee Indian Tribes, Cheyenne Indian Tribes, Chinook Indian Tribes, Comanche Indian Tribes, Creek Indian Tribes, Hopi Indian Tribes, Huron Indian Tribes, Iroquois Indian Tribes, Mohawk Indian Tribes, Mohican Indian Tribes, Natchez Indian Tribes, Navajo Indian Tribes, Pawnee Indian Tribes and Sioux Indian Tribes. Discover the vast selection of pictures of the Native Indian Tribes including the men, women and children of many clans. The clothing, weapons and even the war paint can be viewed as a really useful educational resource for kids and children of all ages. We have included videos to accompany as many of the topics as possible which enable fast access to the images, paintings and pictures together with many facts featured on the website. All of the articles contained on www.warpaths2peacepipes.com can be accessed via the Native Indian Tribes Index. We hope you enjoy watching the Native Indian Tribes video - just click and play - a great educational resource for kids.